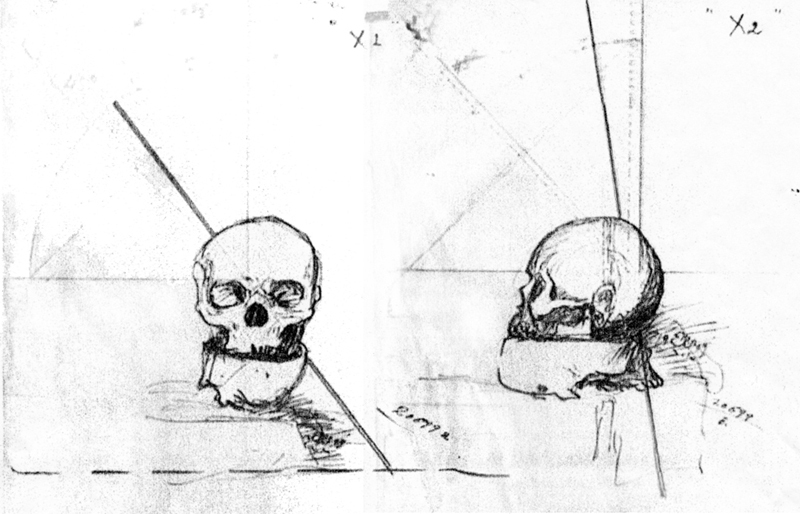 A composite Image of two drawings of skulls created for A Soul on Trial. Copr. 2007. Exhibits X1 and X2 from Sutton Inquiry. NARA..